When I first started my little blog, as a friend called it, I was excited over getting 20 visits. Then when my blog got 10,000 visits, I was celebrating as if I had hit the lottery. Well, imagine my excitement this morning when I logged in and saw that my little blog got over 36,000 visits in one night to push my blog over the One Million mark. I was ecstatic and immediately called my wife over to show her what took place. After she saw why I was so excited, I called my older brother Ray. On the phone with him, he logged in to see what my excitement was about. On the other end of the phone, he watched as the globe under my Visitor counter was lit up and people from all over were visiting my site. After explaining to him that over 36,000 people logged in during the night on Sunday, he too understood why I was so amazed at what was happening. I then called my friend Terry McGahey, who is a contributing writer/historian for my site. A little over a year and a half or so ago, Terry sent me a story about his battle with City Hall in Tombstone Arizona. I was so taken by his story that I ran it on here to get his story out. After his story ran its course, Terry and I talked and I mentioned that I liked what he had to say. I then asked if he'd be interested in doing a "Monthly" article for my blog. I let him know up front that I couldn't pay him because my blog isn't a money making venture, but I can give him a microphone to get his thoughts and opinions out. And no, I did not restrict him at all. Some sites require that a contributing write tow the line and only write what their Editor wants. I told him that it didn't matter what subject he'd want to write about. Terry McGahey is one of those no nonsense Cowboys that made America great. He is American individualism, and he speaks his own mind. I respect that. After getting to know Terry, I was very comfortable knowing that Terry and I are on the same page, very like-minded, on most things including politics, Conservatism, our love for America, and how we approach History. We are both Traditionalists and not Revisionists historians in that we just look at the facts surrounding an event and/or subject, and really try to leave our personal feelings out of our assessments of what took place. We both approach looking at history as objective Crime Scene Investigators instead of subjective fans who cannot bear to acknowledge some fact that might throw a different light on some historic figure and/or event. Well, Terry agreed and immediately sent me a number of articles to edit and publish here. There were actually so many articles that his "Monthly" immediately turned into a "Weekly". So yes, that's why I immediately called him this morning to let him know that the American Cowboy Chronicles can now say that it has over One Million visits! And yes, I want to thank Terry publicly for being a big part of this. Saying "Thank you" seems not enough. But friends, from the bottom of my heart, Thank You! I want to thank every one of you for coming to visit me and Terry, and a few other Conservative writers from time to time. 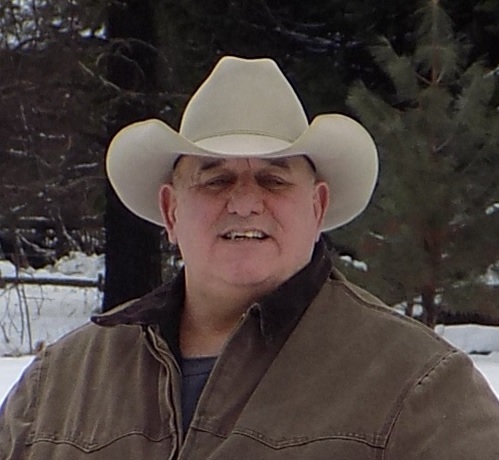 Thank you for coming to my site for the Old West History, American History, that others would rather not publish. Also, thank you for making me feel vindicated. You see, I once had a College teacher who told me that I should give up on my passion of researching and writing. He told me that I couldn't write, and that I would never write anything anyone would want to read. That was from a teacher. So from my section on Old West History, to my sections on Guns and Horses, to the section with Terry McGahey's commentaries and stories, I'm pleased that I can offer you something that you do want to read and find both informative and entertaining. Yes, thank you for allowing me to entertain you, to help inform, and maybe even inspire. Yes, inspire. You see that's the way I see American History. It inspires. It shows us where we have gone wrong, but it also tells us how we have fixed those wrongs. It inspires me when I read about pioneers who fought the odds, just the same way as when I read about Americans like my parents and grandparents who weathered the Great Depression and made it though. Knowing that others have had it tough should inspire! As Americans, toughness is in our blood! After all, America is a land of opportunity and goodness. American History should not be used to hang over our heads as if we should be ashamed of who we are or what we've done. American History, like our great nation itself, should be celebrated for enriching the world, feeding the hungry, empowering those who have lived under totalitarian regimes in Communist and Socialist countries, for lifting people and encouraging those who want to do greatly. America speaks to the heart of all and says "We are a people who can do greatly if one wants to!" As I state in the description at the bottom of my blog: As for my writing style? I'm an informal writer. You'll find I write the same as if we were talking over a cup of coffee. Why write this blog? Well, my wife and I believe we should celebrate and defend our American culture, values, heritage, our country lifestyle, and all that makes us proud Americans. Now that you have visited my little blog over One Million visits, I think you like what I'm doing. And for my knowing that, I cannot Thank You enough! Thank you for stopping in. Thank you for your support, your comments, and your emails. From my wife and I, may God Bless you and yours. Keep up the good work, Tom, and thank YOU for your entertaining and informative articles. Are We Truly Better Off? How Dumb Are Supporters Of Socialism?